Summer is here and what better way to celebrate it than with new and delicious flavors from CaliBurger! CaliBurger is all about quality, freshness, and hand-selected ingredients, and their new and delicious food offerings stayed true to that. Just look at this mouth-watering chicken burger. Hmmmm! Just recently, I dropped by Caliburger to taste some of their new offerings on their menu. It was my first time at Caliburger but I did not know what to expect in terms of taste with their food. I was in for a surprise. before eating the food anywhere, I always get a feel of the restaurant / fast food first through its interiors. With Caliburger's interior design, I felt very light with the glass panels on the side where you can see an overview of Makati. 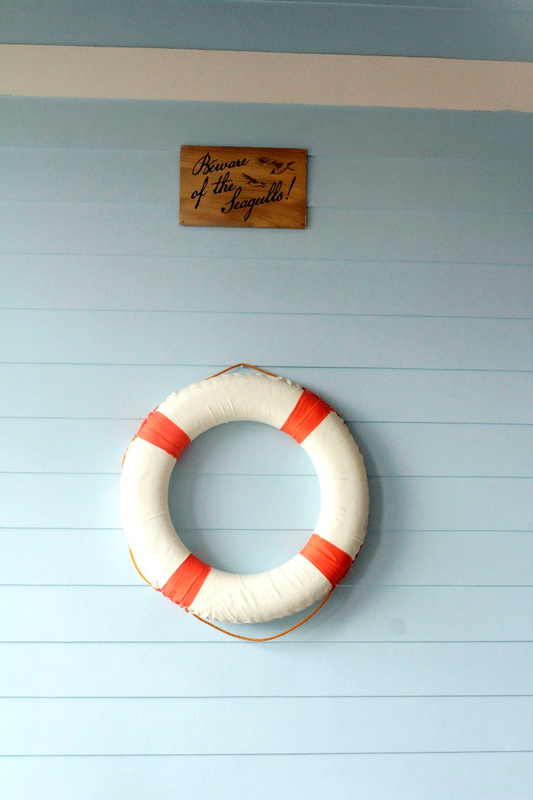 They also had a summer feel in the restaurant because of the nautical details. Good thing there were no seagulls when I paid Caliburger a visit! This burger had a chicken fillet, lettuce, tomatoes, onions, and a dressing which is a mixture of mayonnaise and avocado. AVOCADO. I am a big fan of avocado and as you fellow avocado lovers know, you can't find much avocado offerings everywhere. This burger had a fresh chicken fillet, lettuce, onions, tomatoes, onions, bacon, and a spicy chipotle sauce. You can have your burgers customized to the level of spiciness you prefer so no need to worry about the burger being too spicy or too bland. I personally liked the standard spiciness of the burger. If you want to have a food trip this summer and try out food with fresh and quality products, you should definitely eat at Caliburger!